Mark Your Calendars for the Feast in the East! With Bingo Prizes. Get your Unlimited Wristband to stay hydrated ALL NIGHT LONG! Interested in being a featured Restaurant? Register by Clicking Here! Need more information about Sponsorship? 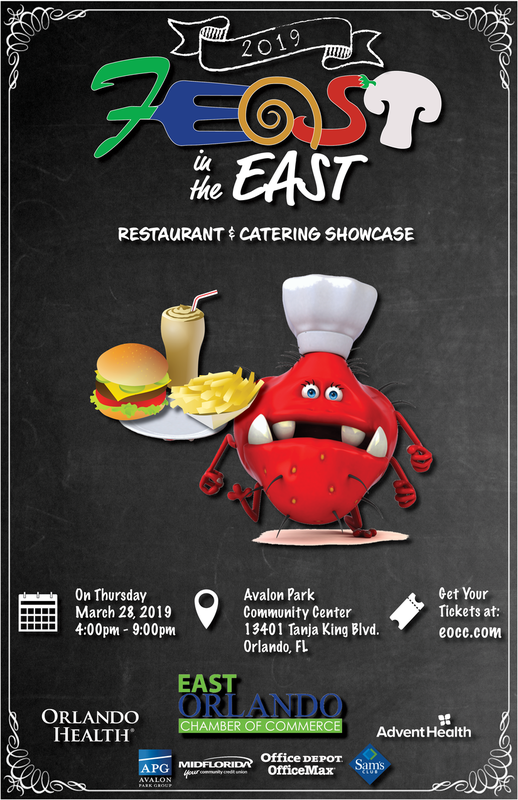 Call the East Orlando Chamber Today!